Lie on your side or tilt the affected ear up. 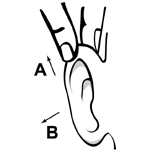 Put the correct number of drops in the ear. Keep the head tilted for at least 2 minutes. Straighten the head and wipe any liquid that spills out. 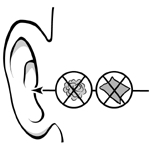 Do not insert a cotton ball or any tissue paper in the ear. To make the procedure less uncomfortable, you can warm the drops to near body temperature by holding the container in your hand for a few minutes. 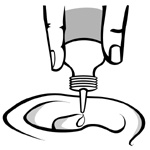 Avoid touching the dropper with your fingers or your ear to prevent contamination of the eardrops. Do not keep opened bottles of eardrops for long periods of time and do not rely on the manufacturer's expiration date on the container; the date is valid only if the container has not been opened. Always check with your pharmacist to know how long your drops are good for. Do not stop applying the drops as soon as you see an improvement. Follow the prescription to the end.